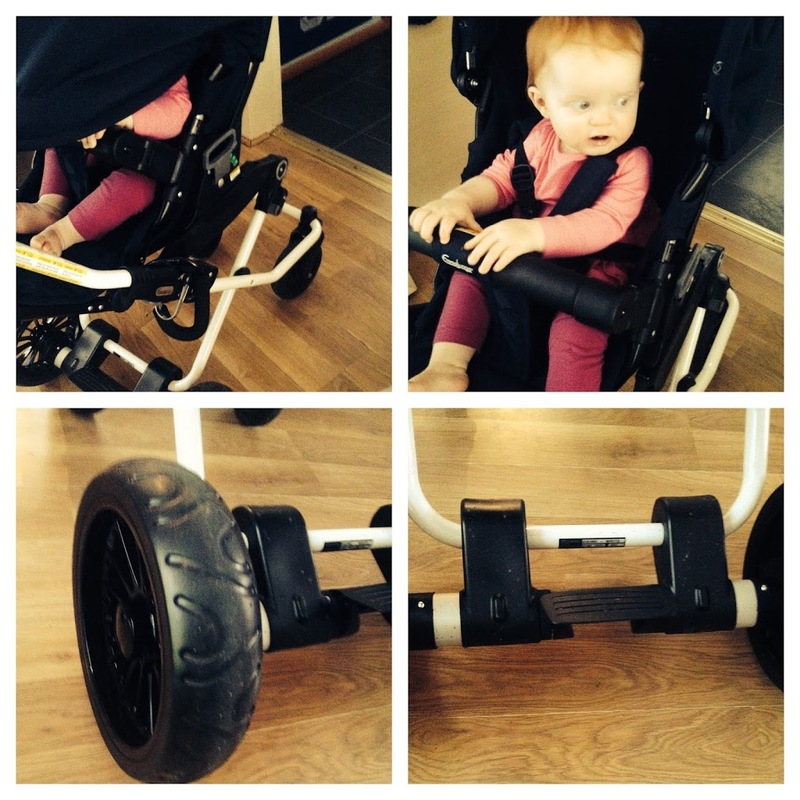 I was given the Emmaljunga Viking stroller to review for a couple of weeks. It’s taken me longer than I’d have like to do this review. The reason, I didn’t love this. It just wasn’t for me. I’m sure there are others out there that this stroller is for, but it’s not us. 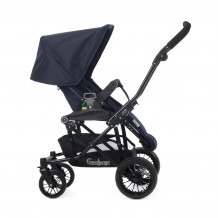 The Emmalijunga Viking stroller is extremely lightweight at only 10.9kg and compact at just 53cm wide. It can even be transformed into a double by getting a double chassis if required. The carrycot part can be used from birth and the seat unit which is the bit we mainly used can be used for 6 months plus. The seat unit looks comfortable and fits well for Aria’s size which was about 10 months, however it didn’t look like there was a huge amount of width room left for growth. I’m sure it would have been fine, but without trying out an older baby in it, I’m not sure. The stroller comes in a black or white chassis, I had the white one. I think the black looks better, but that’s a personal taste. I’ve never had a white framed stroller before. You can out the seat on rear and outward facing which is always good, I prefer to have them rear facing, at least for now. The storage basket underneath is excellent. It’s deep and the sides come up high. Nothing worse than a storage basket where you go up a kerb and things fall out. No need to worry with this one. The hood is one of the most impressive things about it, it comes right down over the baby, protecting from rain if you get caught short without the rain cover, which is great. The wheels at the front have a great 360 swivel, but I think they look cheap and plasticy. They seem to be well made and won’t puncture, but they don’t look good in my opinion. The decline able seat is easy to use and is great to allow baby to sleep or to sit up. It is done with a strap at the back and easy to do if the baby falls asleep. Like most strollers, putting it up and down in the beginning is a bit of a challenge, after a few attempts I got this up and down no problems. It wasn’t difficult or awkward at all. Out and about this stroller had no issues at all, it steered well, was easy to manoeuvre, I could go on the school run fine and shopping, etc. The brakes were in the middle, they worked great and did their job, but I prefer them to the side more. Sounds like I’m being picky, but having used several strollers over the years it’s what I prefer. The Emmaljunga Viking Stroller looks like a classic stroller, it’s narrow if space, etc is an issue as it can fit into a 60 cm cupboard and it can be converted to a double if need be. Overall it’s a good stroller, it does what it says on the tin, the baby was safe and seemed comfortable. I just wasn’t keen on it. I wouldn’t buy it for myself, but it will suit others. It was mainly the look I didn’t like.